Armored Spider-Man suits up to swing into battle! 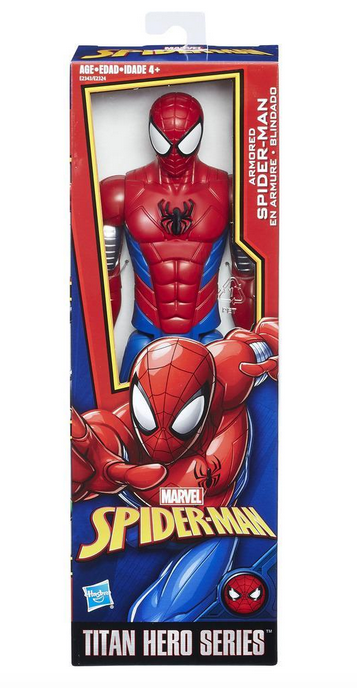 Imagine the armored hero swinging into action with the 12-inch-scale Armored Spider-Man figure from the Titan Hero Series! 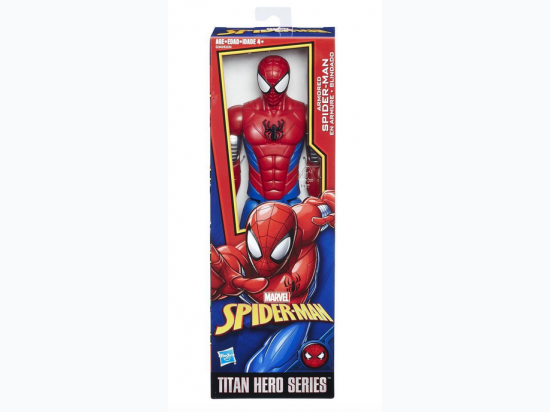 This figure includes an arm port for the Titan Hero Power FX launcher (not included; sold separately with Titan Hero Power FX figures) so when kids connect the launcher, they can power up their figure, activate character-specific sounds and phrases, and launch projectiles!